Shipping Dimensions: 10" x 17" x 3"
Crazy Forts are a unique, award winning, building and creative toy. Crazy Forts come with 69 child-safe toggles and rods that join together to build any play space from your child's imagination. Create a "Cave" one day, an "Igloo", "Pirate Ship" or "Castle" the next ... put the pieces together in different configurations, cover with bedsheets and "voila!" kids have a unique new play space every time! Crazy Fort is powered by a child's imagination. 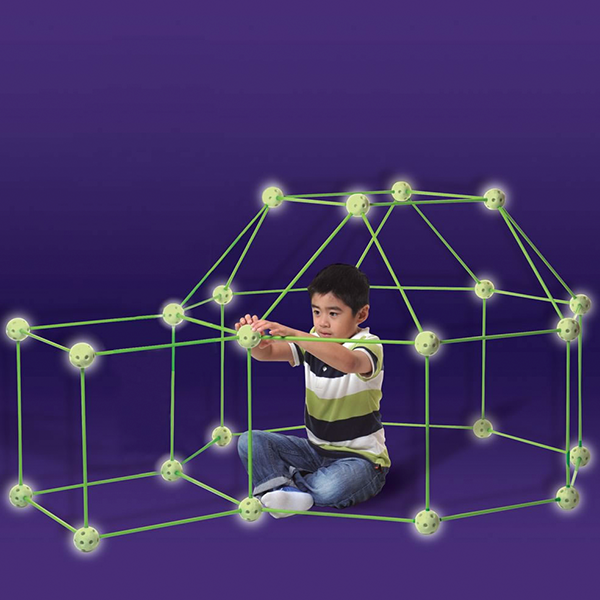 Each Crazy Fort Kit contains 25 geometrically precise balls and 44 sticks that connect to create a multitude of possible play structures. I got this for my 5 and 6 year olds. They love that they can rebuild their fort to anything their hearts imagine. Money well spent! 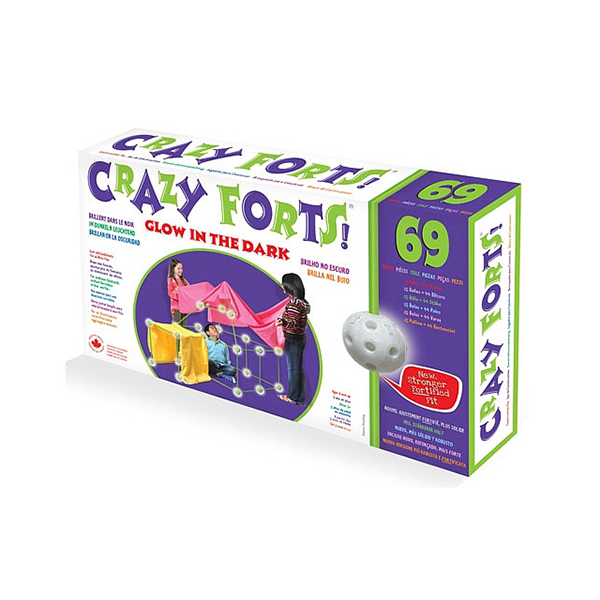 If You Liked Discontinued Crazy Forts Glow-in-the-Dark Construction Playset, See More Related Products Below!